Strategic Business Planning - Grobe & Associates CPAs, LLC. 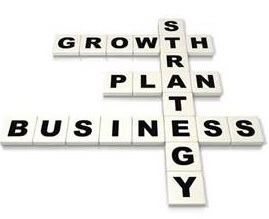 A Strategic Business Plan is much more than a calculated method for getting financing. If your plans and thoughts are still wandering around inside your head, you need to develop a strategic plan to define the direction of your organization. An effective plan will clarify your leadership goals and keep all key players conforming to a concise plan. It spells out specific tasks to be completed in order to move on. The Strategic Plan establishes an outline which describes your organization, its products, management staff, financial condition, competition and business risks. Pinpoints and classifies a target customer profile, attributes, advantages and benefits of your new enterprise, product or service. Verify that your plans are sound by completely exploring how target needs will be met with your new venture. Develop a marketing strategy including complete descriptions of targeted advertising along with carrying out timelines. You also get to examine market stability, characteristics of your customers, the competitive environment, sales prospective, and anticipated results of your advertising and promotions. Create staffing plans, identify the key team members, experience, skills and attitudes to build up the venture. Create management plans including complete documentation of management systems and reasonable timelines for set up. Formulate financial plans for startup expenses, operating costs, income, profits, and a break-even examination for the first few years. Prepared financial plans enable you to effectively anticipate future problems or avoid them. The perception achieved through your Strategic Business Plan can make a substantial contribution to your business’s success, and serve as a positive means to get the funding you require. Most lending institutions and private investors actually will not consider funding a business without a strong, credible financial plan. Recognize building and equipment needs, identify vendors and obtain estimates. Establish business markers including timelines for upcoming projects and services in development. Keep in mind that inadequate planning is preparing for failure. Grobe and Associates is here to help you design a powerful Strategic Business Plan that steers your business in the direction for the success it deserves.